National League side Boreham Wood have signed former Dartford and Barnet striker Harry Crawford on a contract until the end of August. The 23-year-old left the Darts at the end of last season after scoring seven goals in 40 appearances. 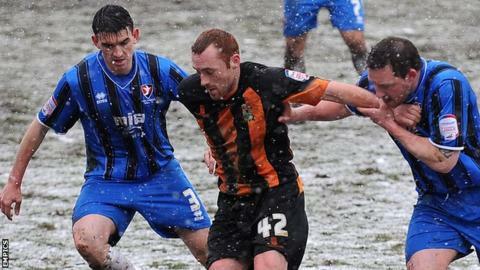 Crawford is Wood's seventh signing since promotion to the National League. "Harry came in during pre-season, been a pleasure to have around, gets on well with the squad and has worked very, very hard," said boss Ian Allinson.